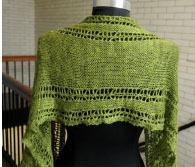 Artyarns Watercolor Shawl featuring Ensemble (or ensemble glitter) light! 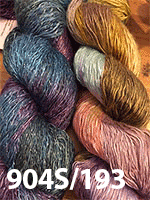 The samples shown are in 506 & 508, combined! 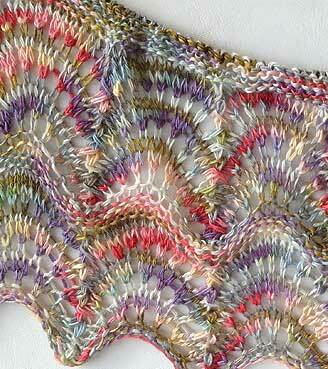 This fabulous kit was designed to work 2 colors together in a feather and fan pattern that set each other off. 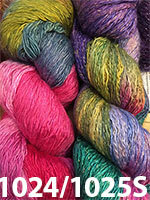 We've added the option of a 3 skein version because several customers wanted to make it larger, and some wanted to add in a third color. 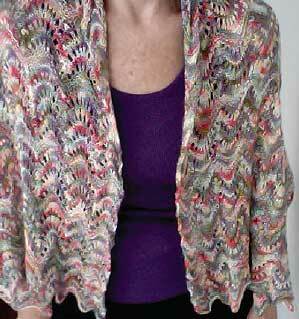 Whichever you choose, this is a delightful pattern that is infinitely wearable. 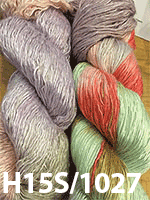 You can also see other kit options using the links below - we offer this kit in the GLITTER version and in a combo version that combines both ensemble light & Ensemble Glitter light to delightful effect! 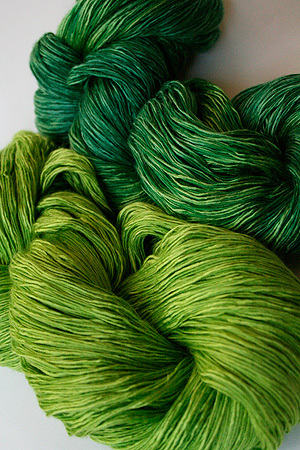 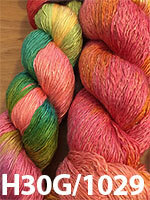 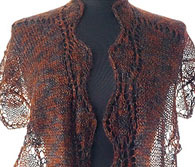 discounts apply to this yarn at checkout + Free shipping on this project!